Like most early-stage startups, when Kickstarter launched in 2009 it was a scrappy organization. The co-founders had virtually no idea what they were doing: they were trying to build a website, but couldn’t code. So they hired a college buddy to do it, a mistake that would cost the team at least two years in sunk time. In those early days, a $8,000 raise was considered a blockbuster success. Fast forward to the present. North of $2 billion from more than 10 million backers has been raised on the platform. In certain circles, Kickstarter is now a household name -- the Kleenex brand of crowdfunding, if you will. How did the company make this transition? Co-founder Yancey Strickler, who now serves as the company’s CEO, can pinpoint the change to one fateful day: Feb. 9, 2012. Up until that point, it had been slow going. When the company first went to raise venture capital funding, nearly all investors were dismissive. “Isn’t there enough art in the world?” was the less-than-encouraging reaction that Strickler remembers getting from one particularly snooty VC. “Nobody liked it, nobody liked it,” said Strickler, speaking as part of the 92nd Street Y's weeklong 7 Days of Genius Festival. Eventually, though, Kickstarter got the unequivocal support of a renowned venture capitalist, Fred Wilson, a partner at the New York City-based VC firm Union Square Ventures in 2009. That rush of high-dollar, tech-heavy campaigns was both exhilarating and disconcerting. As a result of the increased interest from a broader segment of the population, raising money on the platform had to evolve from a homegrown hustle to a more seamless, professional process. For Kickstarter, this required maintaining a delicate balance between legitimizing the company without sacrificing its grass-roots feel. As the company has grown so, inevitably, have the rules and regulations around it. In response to the gold rush of gadget campaigns, the crowdfunding platform released a bit of a manifesto titled, “Kickstarter Is Not a Store.” The governance rules created a new category for creators to fill out, including "Risks and Challenges," where campaign creators are expected to give potential investors insight into the potential hurdles ahead. It also prohibited the use of product simulations or product drawings in an effort to prevent campaign creators from raising money for unrealistic gadgets they will likely fail to deliver. The idea was to preserve the company’s mission to be a safe space for creative ideas, not to become a testing ground for tech startups and their gadget-philia. 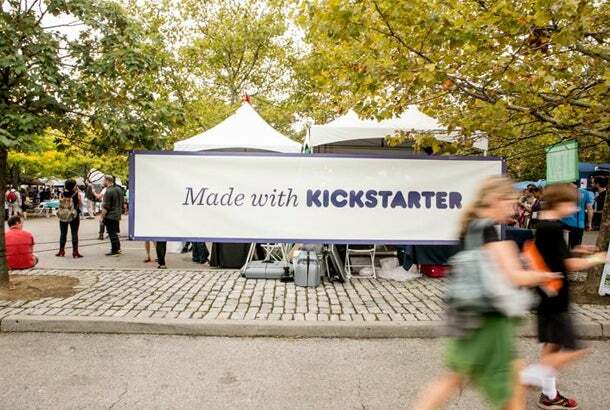 In line with this philosophy, Kickstarter recently re-incorporated as a public benefit corporation, a relatively new classification in which a company’s mission is to make a profit for its shareholders and benefit society, in equal parts. Going forward, there is little doubt Kickstarter will continue to make adjustments to its model, so it can continue to grow without losing sight of its central mission: help creative people to manifest their ideas.